Recently, I had a telephone interaction with a patient that illustrated a common behavior that can often create difficulties for the individual and those with whom he or she interacts. The patient I will refer to as Cathy, the wife in a couple I see for marital therapy. Her husband, Dave, told us that it is difficult for him to understand Cathy’s needs because she is so unclear when she communicates them. In addition, rather than stating her desires clearly and directly, she leaves it up to him to figure out what she needs or assumes that somehow he will understand her needs without her making them evident. Some people find it difficult to communicate their needs because they are simply uncomfortable having any. Others view “not needing” as some sort of strength and get a self-esteem “boost” by acting as though they need nothing. Some define “not needing” as strength, and view having needs (or, as some refer to it, “being needy”) as a weakness. Other people may just not be terribly articulate when it comes to expressing their needs. Some people prefer not having to express their needs directly believing that others—certainly their partners—ought to be able to figure out what they need without being told directly. This is viewed by some as an indicator of caring, while not understanding another person’s needs may be seen as a sign of not caring. Cathy needed Dave to bathe their infant son because she was running late. She never asked Dave if he would take care of this task, believing instead that he would observe her lateness and step in to take care of things. When he did not, an argument ensued, with Dave being accused of “insensitivity,” being an “out-of-touch” spouse and father, and more. Dave, in his quiet defense, said that he would have been happy to bathe the baby if only he had been asked, since he was unaware of his wife’s time problems and was busy caring for another of their children. I realized later that Cathy was, essentially, asking my permission to cancel the appointment, rather than declaring her intention to do so. This is the correct response on my part, since I am giving the responsibility for the cancellation back to Cathy, where it belongs. Cathy is having a hard time taking responsibility and is now giving authority and responsibility for the decision back to me. Clearly, Cathy wanted to cancel the session and so should have done so, rather than tossing the issue over to me for a decision. Fortunately, I saw this, albeit in retrospect, so at least I was able to use my experience with Cathy in a subsequent session in order to help her—and, therefore, the two of them—improve their interactions with each other. 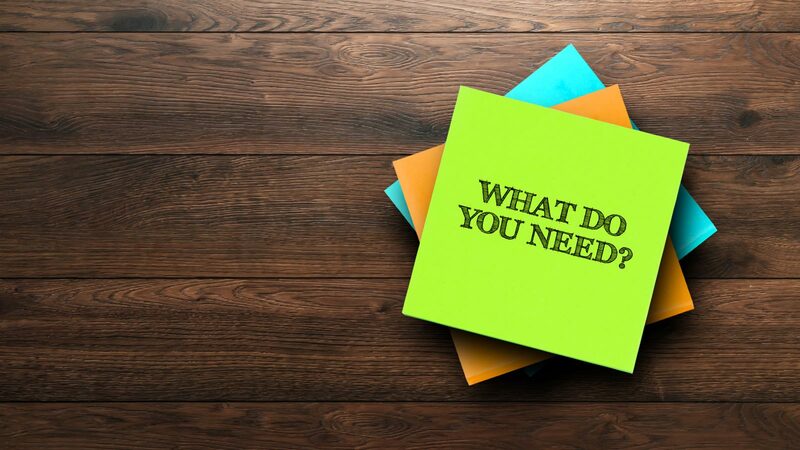 • If you are uncomfortable asking for what you need, see what you can do to work that out, so you don’t defeat yourself by sending unclear messages to those who have a role in meeting your needs. • Beware a tendency to hand over responsibility to another when certain needs of yours are best met by you. An updated version of Handling Your Needs is included in my new book, Help Me!. More information, including the table of contents, reviews and purchasing information is available on the Help Me! page.